Around a hundred years, a Bombay-based lithographer and amateur magician named Dhundiraj Govind Phalke developed an interest in moving pictures, which eventually led him to make India’s first feature film Raja Harishchandra. 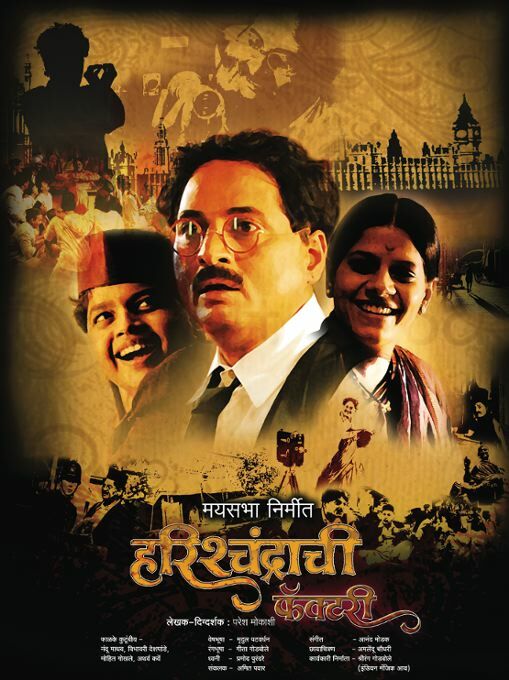 Watching Paresh Mokashi’s 2009 biopic Harishchandrachi Factory, I realised how little we know about the details of Dadasaheb Phalke’s life – and about his landmark film, only fragments of which still exist. Apart from teaching himself the craft of filmmaking, Phalke had to overcome the many prejudices of his time, such as the disdain for the idea that anyone would ever want to watch images moving on a screen when they could see live actors on a stage. His story invites some romanticising, and one thing to understand about Harishchandrachi Factory is that it isn’t a strictly realist telling of Phalke's life (in any case, it covers a period of only around two years). Instead, it has the mood of a picaresque tale about an underdog sallying from one adventure to the next, triumphing over major and minor obstacles – most of which (even the possibility of his losing his eyesight) are presented in lighthearted terms, as if to reassure the viewer that everything will turn out okay. 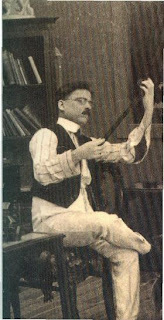 On the Wikipedia page for Phalke, there is an old photo of him looking vaguely Chaplinesque as he examines a strip of film, his head cocked in concentration. Though it’s a still image, it evokes the jerkiness of silent-movie footage – you can almost imagine it coming to life as part of a speeded-up sequence that shows an intrepid director tinkering about in his studio. I think this is the spirit that the makers of Harishchandrachi Factory were trying to capture. Everything about their depiction of Phalke (very nicely played by Nandu Madhav) points to it: his own unflagging optimism, the support of his equally sanguine wife, their cheerful children and emotionally secure family life (there is no reference to Phalke’s first wife and child, who had died long before the events of 1911-1913 took place). The difficulties – the selling of an insurance policy and his wife’s jewellery, the social ostracising from those who believe he is dabbling in black magic – are glossed over. Later, the little problems surrounding the shoot (such as the impossibility of getting women to play women’s roles – and the near-impossibility of getting male actors whose fathers are still alive to shave off their moustaches!) 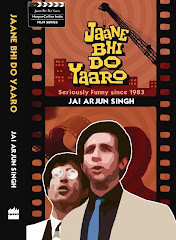 are presented as a series of jolly episodes. Even the penultimate scene, where Phalke is applauded by a London audience after the screening of his film, suggest the self-effacing Little Tramp, blinking at the limelight. The subtext here is that Phalke quietly turns down an offer to practice his art in England, choosing instead to help set up this new industry in his homeland; we see that he is practicing his own, modest version of swaraj. But the tone of this scene isn’t didactic – it’s the tone of comic whimsy. In other words, Harishchandrachi Factory is not what anyone could call a gritty, hard-edged film – it may be open to the criticism that it isn’t a “serious” biography. But I think its tone has a poetic aptness: when you consider how Phalke’s factory paved the way for the creation of so many dream-scapes over the decades, it’s fun to see his own life-story being given the texture of a very pleasant dream. P.S. Watching Harishchandrachi Factory, I was reminded of another affectionate (and romanticised) depiction of a real-life director – Tim Burton’s 1994 movie Ed Wood. One of the most stirring scenes in this film has Edward Wood Jr, legendary bad-movie director, running into his idol Orson Welles at a bar. Talent-wise, the two men stand at opposite ends of the creative spectrum (if Welles directed “the greatest film ever made”, Wood directed “the worst film ever made”), but they are kindred spirits in one sense: they are forever being pushed around by others and expected to make compromises. “Visions are worth fighting for,” Welles (played by Vincent D’Onofrio) tells Wood in his baritone voice. "Why spend your life making someone else's dreams?" The rub is that this sequence (which you can see here) is wholly fictional - there is no record of Wood ever meeting Welles in real life. But it feels right; it’s a scene of which you can say, “It should have happened this way.” Harishchandrachi Factory contains a few such moments. Glad that you mention Ed Wood in this context (just as I was thinking of it, there it was!). :-) Great piece! the light mood of the movie actually helps justify the seemingly stupid zeal and stubbornness of Phalke .... and it has also helped the movie attract a lot of non-Marathi speaking audience .... A truly well-made movie; a wonderful debut; kudos Paresh Mokashi ! Indisch: thanks - watching Harishchandrachi Factory gave me a pretext to rediscover Ed Wood (a DVD of which I had recently bought) and I enjoyed it very much. AshKash: it might have been interesting if the same filmmakers had also made a "companion film" that presents the same story without any vaseline on the lenses. Not saying that would have necessarily made a better film, but it might have been a clever double-set. Pessimist Fool: oh I'm a big Tim Burton fan, but in this case I also think he had such a wealth of material to play with - the real-life Wood and his associates must have been quite a set of characters! Landau's performance as Lugosi is possibly a bit exaggerated (and to good effect), but it's just as possible that the real-life Bela Lugosi spent much of his last years "in character" as Dracula, to get as much mileage as possible from his screen image. In that sense, even the "I don't drink" scene rang true. Jai - Which Tim Burton's films would you recommend? 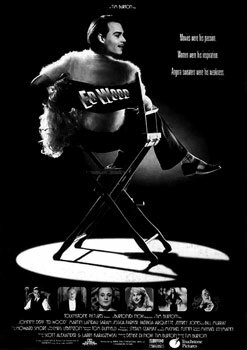 I have seen only Ed Wood. What I hear is he mostly makes fantasies and I don't like them much. So what else I can watch from his filmography? Pessimist Fool: most of my favourite Burton films are pre-2000 (haven't seen some of the more recent ones): Edward Scissorhands, Beetlejuice, Batman Returns, The Nightmare Before Christmas, Sleepy Hollow. But to appreciate these you'll probably have to get over your dislike for fantasy.